Hither and thither moves, and mates, and slays. I Could Write A Better Rubaiyat Than That Khayyam Dipshit. Dorothy Parker always makes me smile. For what I think, I'd be arrested. Thank God, I am content with less! Went and dug them up again. To come outside and say those words! For Dumas fils and Dumas pére. I hope he's not like Tennyson. Than rise and bow and speak an idyll. They say I don't know what I'm missing. I think I'll stick to Samuel Butler. I am unfit to write with candour. The Guardian had a long interview with Poet Peter Porter on Saturday. I love reading interview with poets, especially when they're kind of old (Porter is about to celebrate his 80th birthday). If they could publish ten of them a week, I wouldn't read about the banking crisis, the Gaza conflict and other sad things. Anyway, I don't think I had heard of him before, but I liked the bit of An Exequy they quote in the interview and then I found the full poem and I thought it was really touching. JohaN wrote: i'd never really read hardy's poetry before... and now i definitely will! that's so lovely, marianthi! here's a kerazee poem for cat lovers, written by christopher smart in 1750-whatsit. apparently smart was confined to asylums for much of his life... for excessive prayer on street corners (at least, that's what the gf tells me! ), and this is actually an excerpt from a MUCH longer poem that her spent 7 years on. OMIGOSH I love this poem! Doesn't it make you wonder what the "Let" lines read like? Have you read the rest of Jubilate Agno? I just wrote a paper on this, comparing it to the Emerging Church movement and... daily comics! with a wave of your hand. Oh, is he the former Poet Laureate already? I thought he was staying until May. He is a very gentle poet, isn't he, and I guess that's why it's surprising when he comes up with something that stirs you. 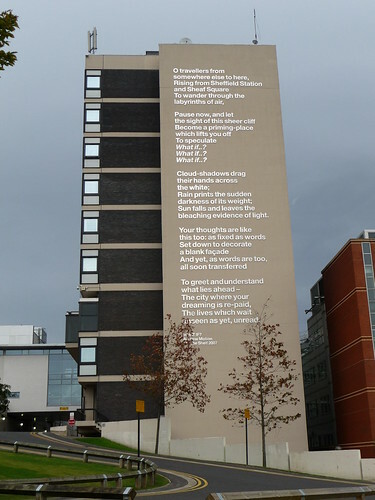 His poem on the side of the Sheffield Hallam University building grew on me over time. I love that it's addressed to people visiting the city and I understand it more every time I look at it. My friend works in the building where that photo was (presumably) taken from - he said he inadvertantly ended up at the unveiling as it happened to be on his lunch break. Apparently the other attendees were a distracted mother and her screaming infant, and one man and his dog. I might be exaggerating, but it was a hilariously meagre turn-out. 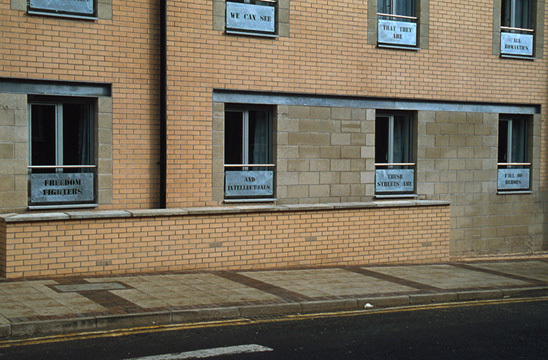 Have you ever seen the Benjamin Zephaniah poems that are off West Street? They don't really work, largely because it's practically impossible to read them. Also because they are crap. YOUR NATURE MUST BE CURIOUS. ARE AT THE HEART OF ALL OF US. THE UNITY THAT YOU HAVE FOUND. RAISE YOUR HEADS AND DANCE THE DANCE. Surely 'Poetry has always been an intimate experience' is basically completely untrue? crystalball wrote: Oh, is he the former Poet Laureate already? I thought he was staying until May. You are right; it is just that everywhere his name is mentioned it is about the nearing end of his tenure as Laureate that you forget he'll have serious work were the queen to die tomorrow. I wasn't so much surprised to be stirred by a gentle voice --I would say that'd be all the more reason to be stirred-- but rather that he managed to stir me when writing about subjects that I have little to no affiliation with. But perhaps that is what you meant. I like his poem on the university building too. There should be more poetry in public places! Although perhaps it'd be even better and more suitable if it was done more subtly. Like that bridge in Nijmegen, where there is a plaque with a few sentences of prose from a now-classic Dutch that mentions the city. If that's your level of interpretive skill perhaps you should stick to the indiepop threads? The brothel was "hellish" enough to win every major arts and poetry prize in the uk that year...including the Turner prize...twice. Dan! #1 poster in the indiepop threads! yeh, Dan... go and fiddle with your hello miffy hairslide and mumble along to the just joans why don't you? 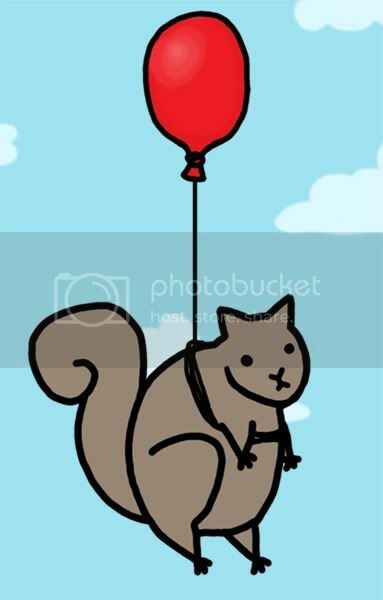 is so quiet over our village? I love this Bern Porter poem - it really needs to be heard though, and heard from his own mouth. The man had an amazing life too.